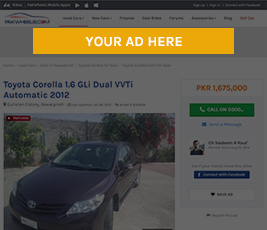 Advertise your brand at the premium spots on PakWheels and drive additional traffic to your website. 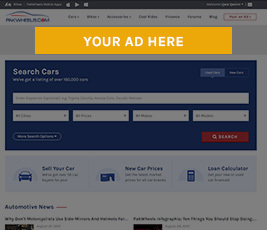 It also helps you widen your brand image to potential customer base. 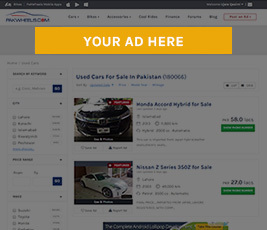 Please contact us for more information via our website or call us on 042-111-WHEELS(943 357). Our sales executive will advise you the best package suiting your needs.